It is often forgotten that during World War II, the Japanese managed to successfully invade and conquer a precious part of American home soil - the first time this had happened since 1815. Capturing the Aleutian Islands, located in Alaska territory, was seen by the Japanese as vital in order to shore up their northern defensive perimeter. 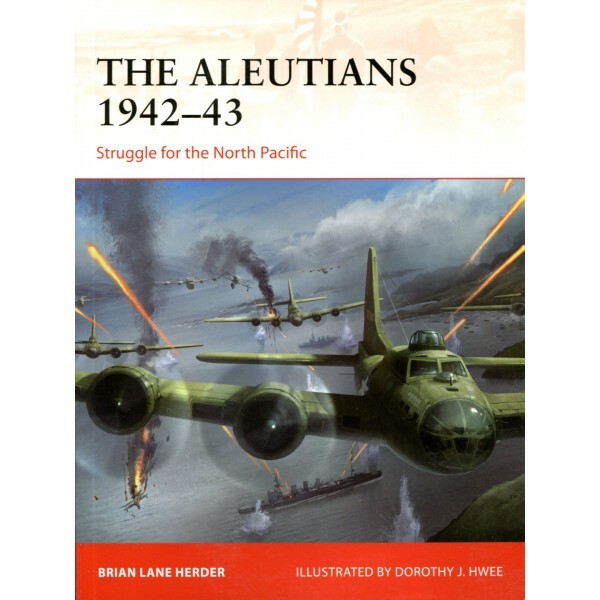 Fighting in the Aleutians was uniquely brutal. It is a barren, rugged archipelago of icy mountains and thick bogs, with a climate of constant snow, freezing rains and windstorms. These geographic conditions tended to neutralize traditional American strengths such as air power, radar, naval bombardment and logistics. The campaign to recapture the islands required extensive combined-ops planning, and inflicted on the United States its second highest casualty rate in the Pacific theatre. Featuring the largest Japanese banzai charge of the war, first use of pre-battle battleship bombardment in the Pacific and the battle at the Komandorski Islands, this is the full story of the forgotten battle to liberate American soil from the Japanese.